Kwara State Governor, Alhaji Abdulfatah Ahmed has urged politicians to desist from unguarded and misleading comments capable of creating discord and heating up the polity. 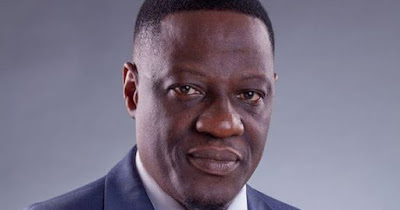 Responding to recent social media posts regarding a message by People’s Democratic Party(PDP) elders in Ifelodun Local Government area inviting members to a political meeting, Governor Ahmed described the issue as a party affair which should not be given any negative connotation. While condemning the post and commentaries that followed, he said such unguarded utterances are not only misleading but also have the capacity to cause divisions that will be difficult to heal in the Kwara South Senatorial district if allowed to fester. Alhaji Ahmed said while the party as presently constituted in Ifelodun Local Government and indeed Kwara South is known for its inclusiveness and consensus building, the meeting is an internal party affair and should not be given any negative undertone that can undermine the harmony, peace and cohesion of Kwara South Senatorial District and indeed the state at large. Governor Ahmed urged all PDP aspirants in the state to abide by the party structure’s tradition of unity, peaceful conduct, inclusiveness and respect for the leadership in exercising their right to aspire to elective posts.